While following Jesus and abiding in Him go together, they are not the same thing. Following focuses on action, like obedience and service. Abiding emphasizes resting, remaining, living within. As we grow in Christ, we begin by following Him, just like His disciples. When Jesus called the Twelve, He bid them to follow Him. 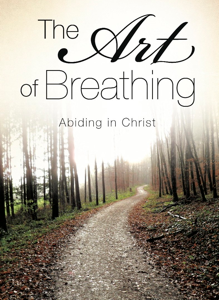 But as His ministry on earth began to draw to an end, He asked them to abide in Him like a branch abides in a vine. He asks us to do the same. We follow Him, but then we must grow to a place of abiding. The way we train children in the lessons of right and wrong, following Christ teaches us the basics of how we function in our Christian walk. We ask, “What would Jesus do?” and we focus on obedience to His word. But at some point we must move from milk to meat. We must allow obedience to flow from something rather than depend on it to get us to something. I have never met anyone who feels they have too much joy or peace. Tomorrow is a big day for me. I’m sending a book proposal to InterVarsity Press. I met an IVP representative at the AACC Conference who gave me an editor’s card. After contacting him, he expressed a willingness to review my materials to see if IVP might publish my work. I have been praying for 10 years to finish and publish this book. I have finished it and am hoping this is the chance to finally get this material published.